Go back in time with this school room scene in a watch case.Kit includesblackboard, alphabet, roll up maps, flagand old school desks in a watch case. Instructions include detailed photographs of the assembly process. 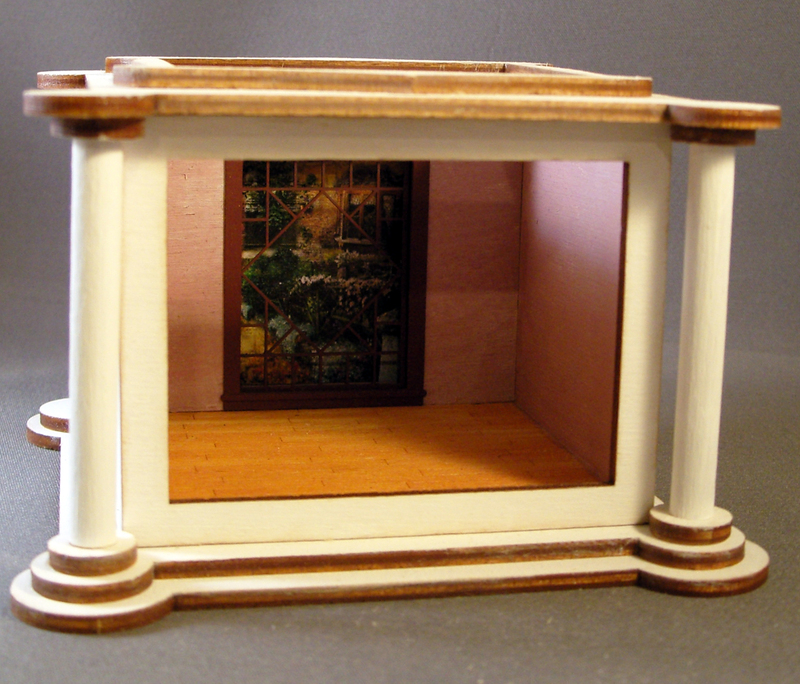 Column End Room box, qtr scale.